A cornucopia of different cultures and the dreams of people from all walks of life somewhat describes the essence of Aamchi Mumbai. The commercial and entertainment capital of India, Mumbai has something for everyone. Whether you are a student, working professional or simply a devoted religious person, this city will take care of your likes. 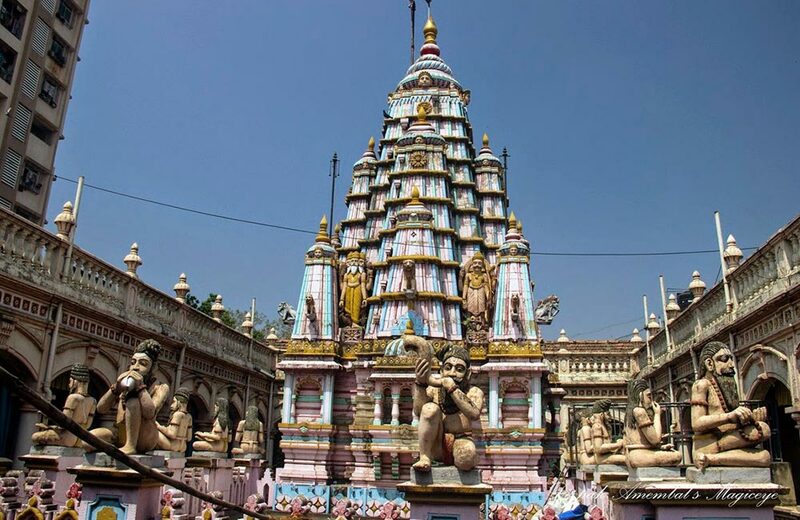 While there are various places to visit in Mumbai and markets to indulge in retail therapy, today we will be little spiritual and talk about the most beautiful and visited temples in Mumbai. The city has 1000 of temples and when you are out exploring this busy city, you will find people going about their work but stopping once in a while to pay their respect to the almighty. In this blog, you will find out more about the various temples and their architectural styles, stories of origin and the deities they are dedicated to. Ready for a spiritual tour? Skim through the consolidated list of temples in Mumbai and then read on to know about them in detail. Find the list of top Malls in Mumbai. One of the most famous temples in Mumbai,Siddhivinayak is dedicated to the lord of good fortune and beginnings – Lord Ganesha. In Hindu religion, one appeases to the elephant-headed god before starting any new task. Opened in the year 1801 by Devbhai Patil and Laxmi Vithu, the temple is one of the eight Ashtvinayak temples spread across the entire state of Maharashtra. A visit to the temple will educate you about the story of this beautiful god and why he is revered deeply by Hindu people (and often by other religions as well). The temple has an astounding statue of the lord along with his two consorts – Ridhi and Sidhi. Complete with lotus, a small axe, his favourite sweet dish – modaks, and prayer beads, the statue of this deity has four hands and looks resplendent at all time of the day. Visit the temple to seek Lord Ganesha’s blessing. However, if you would really like to see a fervent celebration of people’s beliefs, Tuesdays is the best time as a lot of tourists flock to the temple on this day and every ceremony is a little different. 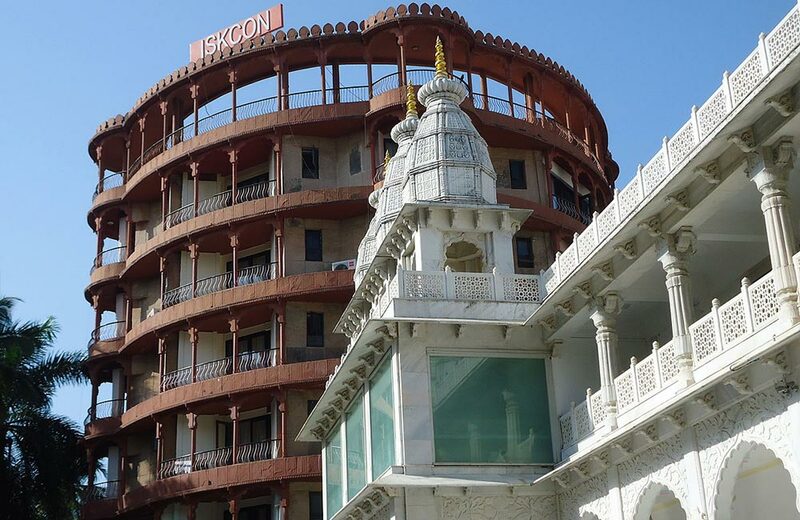 ISKON temple is one of the most peaceful temples in Mumbai and it is spread across the entire country. Dedicated to Lord Krishna, the temple was found with the aim to preserve the rich heritage and mythological stories behind the life of Shri Krishna and how his presence had an impact on Mahabharat, one of the greatest mythological stories to be ever told. 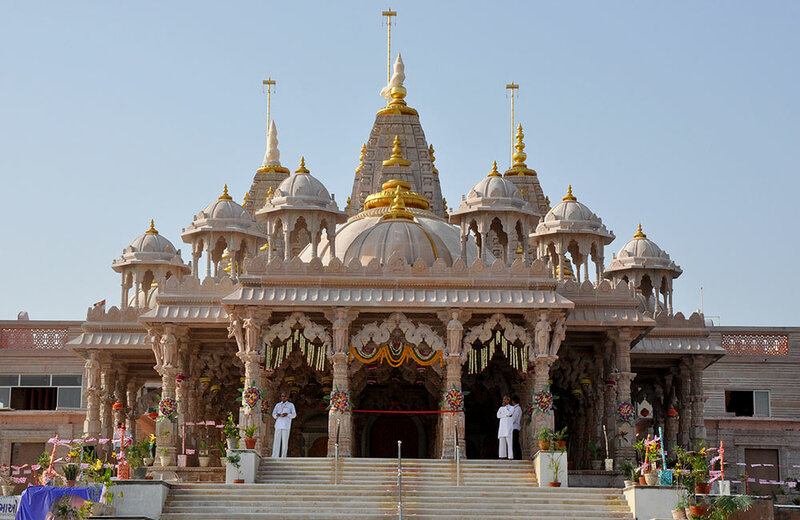 Started by the Acharya Bhaktivedanta Swami Prabhupada in the year 1978, the temple is perfect for spending an evening listening to the chants of Hare Krishna, Hare Ram and immersing in the splendor of the evening aarti and bhajans. Moreover, the pristine white marbles and beautiful architecture of the temple is another thing that will keep you here for a couple of hours. A lot of people simply come here to admire the temple’s beauty and meditate. Unlike other temples, this one is dedicated to a goddess of particular communities and not the entire religion. Goddess Mumba is the patron goddess of the Somavanshi Kshatriya, Koli and Agri communities residing in Maharashtra. According to the legends of this community, Goddess Mumba is a powerful guardian and an incarnation of Goddess Parvati. 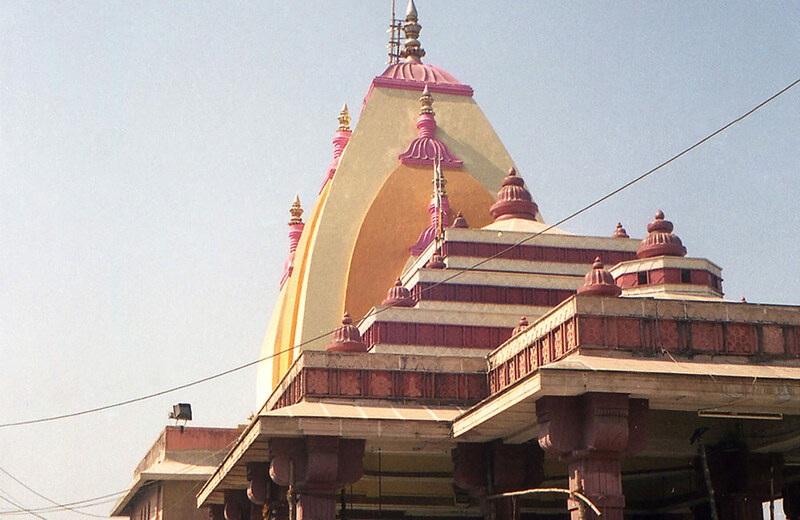 Located on the Bhuleshwar Road, the temple was first opened in the year 1675 and has been relocated once to its current place. Inside the temple, you will find the statue of the deity which is made of black stone with an orange face. While the statue itself doesn’t have a mouth – to symbolize earth – and is simple and beautiful, the entire altar on which it stands is decorated by the devotees. Since Tuesday is of utmost importance in Hindu mythology, be ready to face a lot of crowd if you visiting on this particular day of the week. The rush is fine on the other days. Tip: After visiting one of the most powerful temples in Mumbai, we recommend you explore the nearby markets as well and definitely try the Mumbadevi Jalebis. Click to know about the best things to do in Mumbai for free. Another ancient temple in Mumbai, this one is located at a short distance from the famous Girgaon Chowpatty Beach. Also, it is easily accessible from the Marine Lines Railway Station and attracts a good footfall of tourist and devotees. 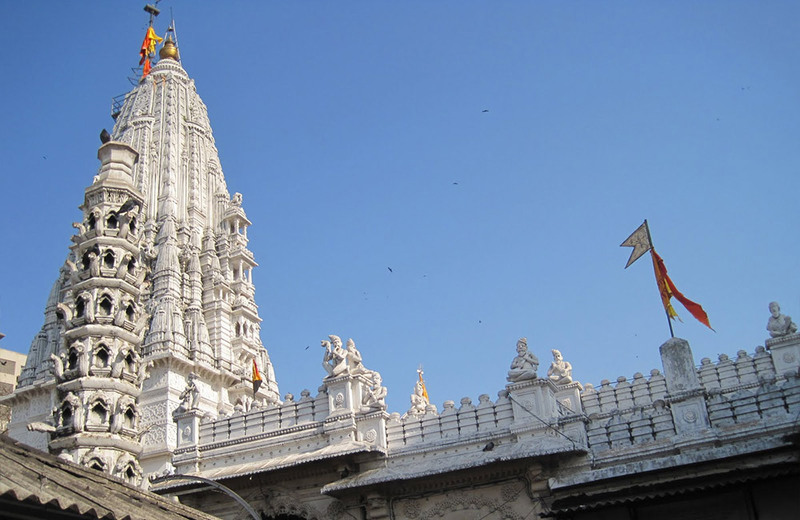 Dedicated to Lord Shiva, the temple is of great significance to the Marwari and Gujarati communities living in Mumbai. With the beautiful interiors and intricate carvings on the walls, the temple is bound to awe-struck you. The temple is built in such a manner that it feels like you have descended in Mount Kailash – the abode of Lord Shiva. If you wish to visit the temple on Mondays, make sure you are prepared to brace the crowd of devotees that come here because Monday is the day of Lord Shiva. Unlike other temples in Mumbai, Mahalaxmi Temple is located next to the seashore. Unique and beautiful, the temple is dedicated to goddesses Laxmi, Saraswati and Durga. Each idol of the different deities is ethereal and carved out of stone. People say that all the statues are ‘swayambhu’ which means they have been carved in the most realistic form of the goddess herself. Each goddess is adorned with a golden mask as well and bathed every morning. The temple is not only a religious place but it also has archaeological significance as there are several manuscripts and relics that will educate you about the distinct and beautiful stories of our past. Tip: If you can, visit the temple during Navratri and Diwali as both the festivals are celebrated with much pomp and gusto here. 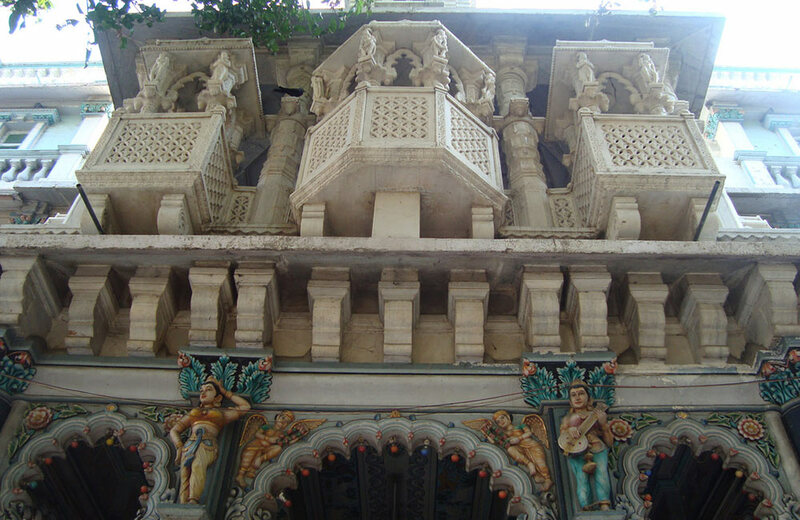 A popular South Indian temple in Mumbai, the Balaji Temple is a replica of the Tirupati temple. Devoted to Lord Balaji, it is huge and has statues of various other deities that are worshipped by South Indians. 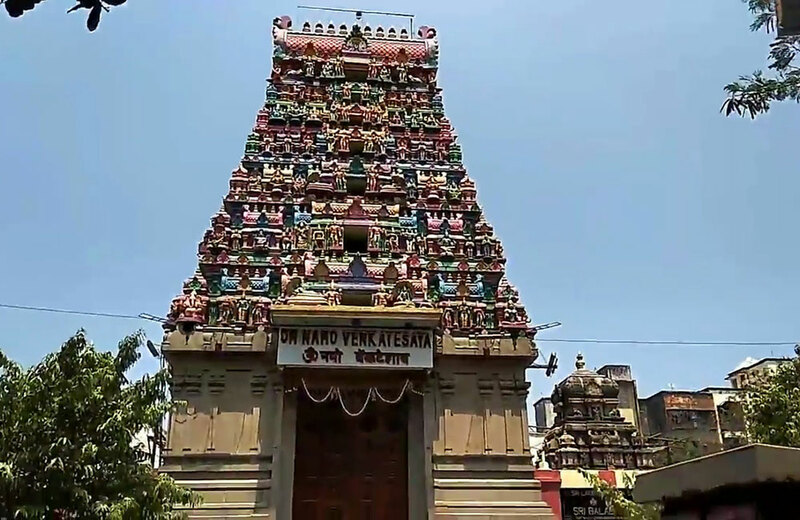 Some of the other temples which are housed within the premises of the complex are Lakshmi Narasimha Temple, Ramanuja Temple, Vishwaksena Temple, Padmavati Devi Temple, Hanuman Temple and Vidya Ganapati Temple. You can either spend the entire day exploring the intricacies and details of each temple or simply take a stroll out in the garden. The temple is beautiful and has a huge 60 feet Rajagopuram which is an integral feature of all the temples of South India. Almost 100 years old, the Swaminarayan Temple is also among the most visited temples and integral to the people of its neighbourhood. Along with the temple’s exterior, the intricate carvings and details are something that one cannot miss when praying in the halls. Apart from the different deities and idols, the temple also has three spires on top. An audience hall is also present in the premises of the temple which has paintings on its walls. The paintings are a treat to the eyes of the visitors and devotees of Lord Krishna because it depicts his entire life. The main deities of the temple are Narayan, Lakshmi and Ghanshyam Maharaj. The temple has a flower market adjacent to it and sees a lot of visitors. If you want to see the temple in all its glory, visit it during Janmashtami, Mahashivratri and Ram Navmi. 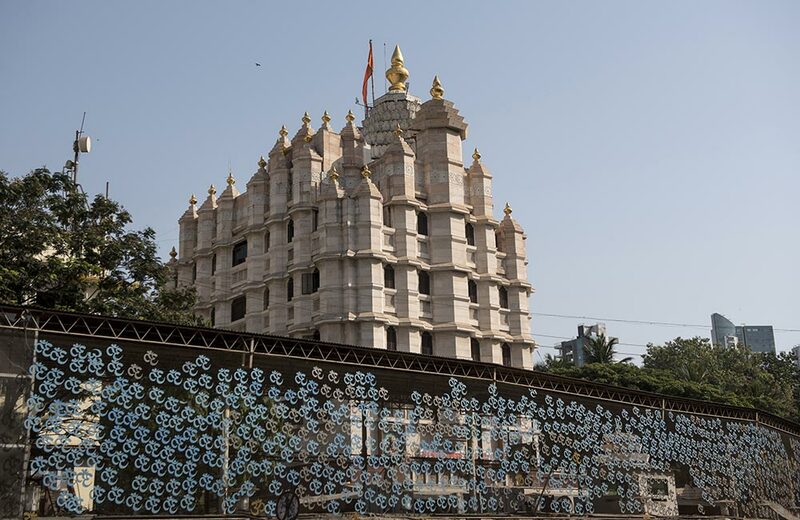 One of the most popular and beautiful Jain temples in Mumbai, this one is stunningly beautiful and complete with intricate detailing, carvings and even paintings. On the entrance of the temple, you will find two beautiful sculptures of elephants which is also one of the major attractions of the temple. Built in the year 1970, the temple has similar structures of elephants prominently placed in the pillars and the ceilings. Dedicated to Adishwar, the very first Tirthankar of Jain religion, the temple is ideal for spending a few hours. Apart from the idols of Tirthankars, it also has an idol of Lord Ganesha in its premises. With a city as culturally diverse as Mumbai, you are bound to have various types of temples for a peaceful escape. And if you want to take a religious tour through the city, these are the temples you should start with and then proceed to mosques in Mumbai and other places of worship.